Live and love a gluten-free lifestyle! 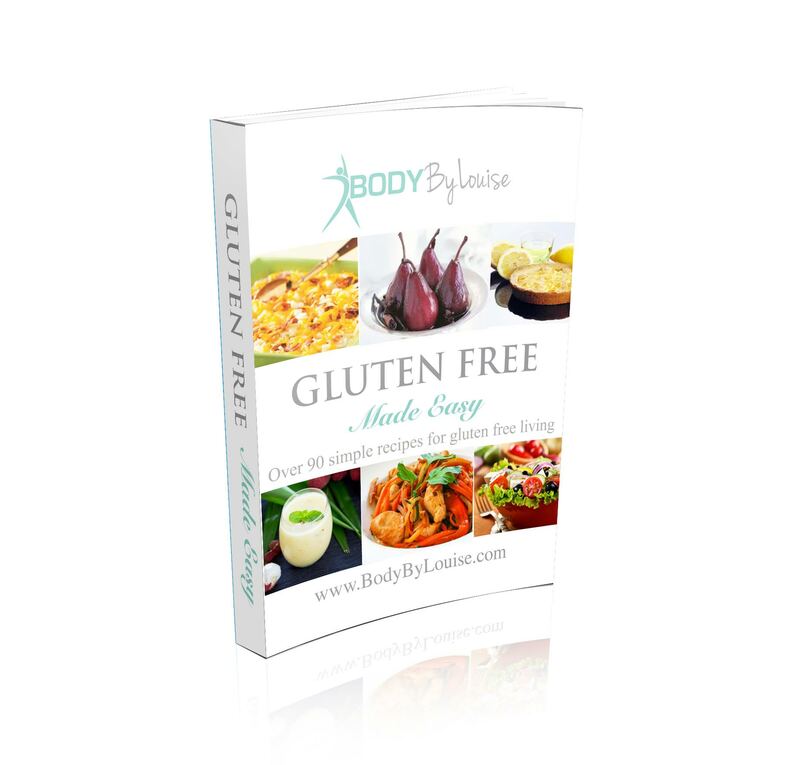 My story to gluten free: I decided to make a Gluten Free recipe cookbook, after last year I became intolerant to almost everything I was eating. I had to do an elimination diet to work out what it was that was bloating me, giving me stomach cramps and making me hold water. In order to maximise the health and nutritional benefits of going gluten-free, I fully embraced a diet filled with a variety of naturally gluten-free foods such as fruits, vegetables and lean proteins, as well as gluten-free grains & within a month my body returned to normal. So no more excess bloating, fluid retention or feeling absolutely crap about myself. So i’ve put together a variety of recipes that are all made with natural ingredients. It’s Gluten Free Cooking made easy. Gluten is the protein component found in wheat, rye and barley. The most obvious sources of gluten in most diets are bread, pasta, breakfast cereals, flour, pastry, pizza bases, cakes and biscuits. Gluten can also be found in processed foods, such as soups, sauces, sausages and ready made meals. Modern diets have become increasingly high in refined wheat products, which has led to the consumption of significant amounts of gluten. It is thought that some individuals are more sensitive to gluten than others. For the gluten sensitive individual, over consumption may lead to digestive symptoms such as bloating, pain and stomach cramps. For this reason, growing numbers of people choose to follow a gluten-free diet. Gluten intolerance is different from an allergy to gluten; a condition called coeliac disease. A strict gluten-free diet involves the avoidance of any product made from wheat, barley or rye. Avoiding gluten can be hard as wheat is so widely used in commercially manufactured, ready-made foods. But eating gluten-free doesn’t have to mean brick-like-bread, dry flaky pastries or gritty gluten-free crackers, nor does it mean sacrificing good nutrition and tasty food. Staying Balanced on the Gluten-Free Diet: In order to maximise the health and nutritional benefits of going gluten-free, you should embrace a diet filled with a variety of naturally gluten-free foods such as fruits, vegetables and lean proteins, as well as gluten-free grains. FDA recommendations encourage everyone, including those on a gluten-free diet, to avoid overly processed foods, and keep refined sugar and saturated fat intakes to a minimum. As with any nutritional regimen, the practices of portion control and moderation are essential for those eating gluten-free. Daily exercise is also necessary for managing and maintaining a healthy lifestyle. Adhering to a gluten-free diet can be tough. But with a little education and an optimistic approach, individuals and their families can learn to live – and LOVE – the gluten-free lifestyle! *This is a PDF ebook that can be viewed on all iPads, tablets, computers, laptops and phones.